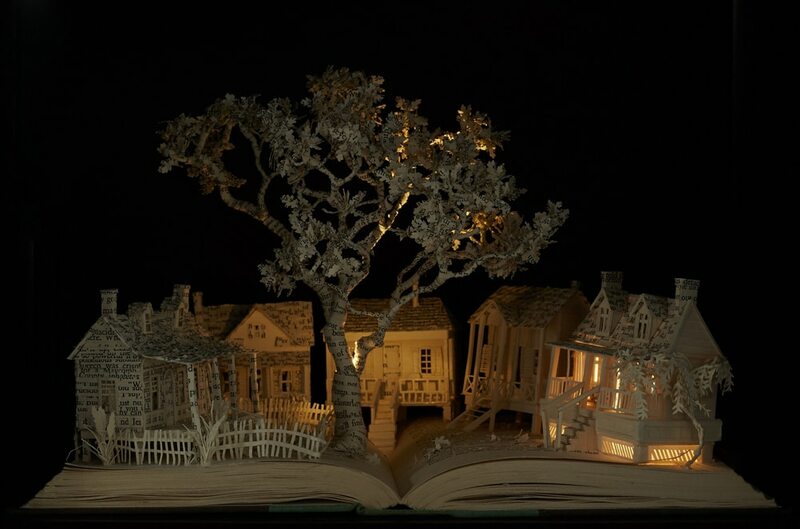 Serious readers often have many bookshelves full of old books and one artist is doing something constructive with them. Su Blackwell has put together a breathtaking collection of odes to classic literature that require no reading to appreciate. Su says of her work…”I often work within the realm of fairy-tales and folk-lore. 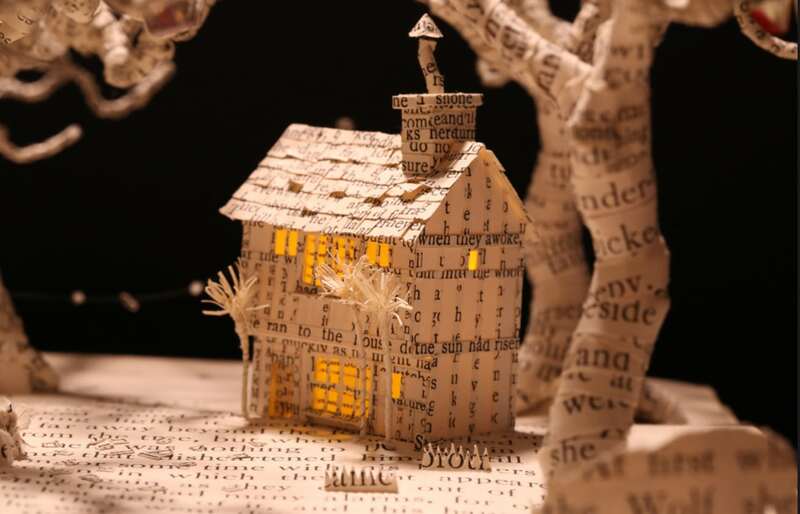 I began making a series of book-sculpture, cutting-out images from old books to create three-dimensional diorama’s, and displaying them inside wooden boxes”.